Bioscience is becoming an increasingly attractive field for companies and cities alike, according to a new study. 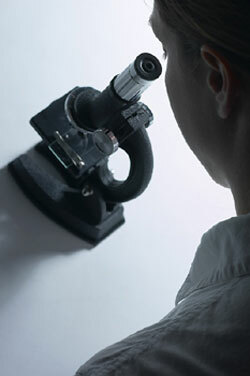 In 2004, 1.2 million people worked in the bioscience industry at more than 40,000 businesses. While bioscience firms were located in almost every state, the top locations for employment in the biosciences are New York and Los Angeles, according to the study prepared by Battelle on behalf of the Biotechnology Industry Organisation. "Nearly every large metropolitan area in the United States is actively pursuing bioscience-industry development," Patrick Kelly, vice president of state government relations for the Biotechnology Industry Organization, said in a statement. "The biosciences not only have the potential to create high-skill, high-wage jobs, but the industry is also developing technologies that can improve the quality of health-care and agriculture, and help meet our nation's growing energy needs." One-third of people employed in the biosciences work in the field of medical devices and equipment, and another third work in jobs related to research, testing, and medical laboratories. One-quarter of bioscience jobs are in the drugs and pharmaceuticals industry, while the rest (8 percent) come from the field of agricultural feedstock and chemicals. Nearly 200 of the 361 metropolitan statistical areas, or MSAs, studied in the report specialize in at least one of the four primary bioscience sectors, and 25 MSAs in the United States have more than 10,000 people working in the biosciences sector. Besides New York and Los Angeles, which ranked first and second in employment, other metro areas with high employment in the biosciences include Philadelphia (No. 3), Chicago (No. 4), and Boston (No. 5). "We're seeing significant interest from state and regional development authorities in the biosciences," Kelly said. The report profiled seven regions -- Boulder, Colo.; Durham, N.C.; Flagstaff, Ariz.; Kansas City, Mo. ; Madison, Wisc. ; Philadelphia; and St. Louis -- which are investing to recruit and develop new biosciences businesses in their region by creating the research base, talent pool, capital markets, and commercialization capabilities that such firms need. "This report shows that the biosciences are a key driver in the development of regional technology-based economies throughout the United States, offering a way for regions to diversify their economies," Walter H. Plosila, vice president of the Battelle Technology Partnership Practice, said in a statement.